"Lean project management tool with an intuitive user interface"
You can track the time spent on a task by using a timer. The timer supports the Pomodoro method for time management. The Pomodoro method involves working with full concentration for 25 minutes before taking a short break. Then, you should work for another 25 minutes before taking a break, and so on. When the company size grows, it becomes imperative to have a management of the same thing. What happened with KanbanFlow is that I don't have to go to every employee and assign them jobs. Earlier we used to use stickies, a lot of stickies. Now, I just assign the job, to a person and it is done! "Kanban Flow is a super easy-to-use tool for managing projects, dividing them into tasks." 1) It allows you to create different lists of tasks and even share them with other users, only knowing your email. 2) It has a Pomodoro timer, to measure productivity, and it divides the time into 25 minute intervals (called pomodoros) during which the work is activated. 4) It has a version for mobile devices (Android, IOS) and has a paid version and a free version, but very complete. 5) It has the drag and drop system for the management of tasks and boards. 6) Allows integration with other applications, such as email, Slack, Google Drive, Dropbox, etc. 1) It only works or is stored in the cloud. 2) There are no other "views" other than the columns on the board. 3) There are no ways to use other colors to customize tasks, different from those proposed by the tool. 4) In the free version, the possibility of integrating with other software is limited. To use it you have to be sure of the tasks to plan and know the use of this type of tools, which will make it super easy to adapt and use. It is a very easy-to-use process and task planner that provides an excellent interface, with striking colors, considering that images are a characteristic that generates empathy and confidence for users. "Is a new experience to achieve goals in your work and your every day living"
The most simple way to keep the work organized, helping me focus on my task along the week and complete the whole work, even if I'm capable to finish more than I have to do, I can do it just because I'm organized on daily basis. This software help me with some graphic information about my daily performance and how I've been changing this behavior, just figured out this. The software is kind of rough, needs some work to smooth the options to create a new dashboard and copy data from the first dashboard to the custom dashboard, is not available this option and could be a plus. The colors are mostly soft, but in a emergency it could be helpful some colors with an intense version, such as red or violet. The time are preset as 5 pm when I bring a date, some times it doesn't fit to any of my project delivery because I need to send a copy of the delivery document and the invoice, before the 5 pm, in order to be sure the customers get the mail. This are the stuff that needs some work. My recommendation is to try the free trial and test every possible tool this software provides to your work day, how it brings your labor day into a set of goals and try to reach them every day, so when you really do it, you will become more effective, will be more assertive and will achieve more than just a job, is a way of living. The business problems is that I need to be more assertive in order to complete all my projects in a due time, without any troubles, and the need to be more efficient with the office time, This help me with my projects on environmental impact and land surface modifications implications. "Kanbanflow really keeps me organized and focus"
Workflows and swimlanes: the workflows make our process easy to manage and allows me to take over to do all of the work myself when I have to. No linux client. Really wanted to use of offline on linux since I switched to linux now. Lack of a managed process. It was difficult to put certain tasks into perspective. "Easy and attractive tool for project management and task assignment." I like the user interface of KanbanFlow. Different type of task and user is in different color so you can look in a look. Any user can use it in few minutes due to easy interface. Time estimation is also a good feature to be safe from project delay. You can not change or assign another developer for a subtask. We have to create a new task if we need to assign a different developer. I would like to recommend KanbanFlow to all for good and time saving project management. I solved project bug and issue and assignment work of Slateus app by kanban flow. By using this platform i realized that overall time to do same work is reduced. No communication delay for tasks to do daily. 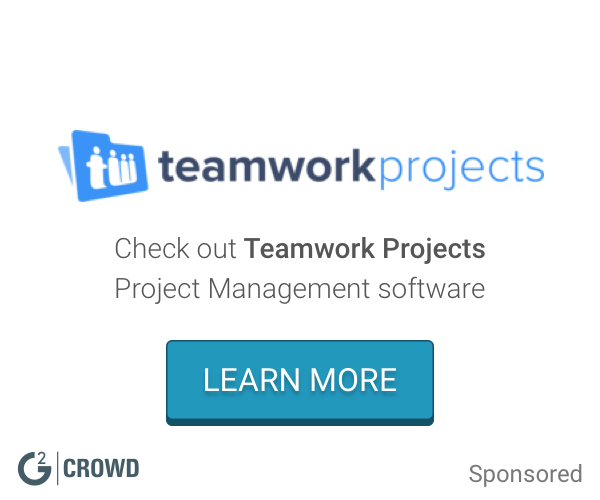 "Good tool to manage work teams"
Kanbanflow is a very easy tool to use to manage multiple tasks that require the work of several people at the same time. The creation of reports and the analysis of tasks are really good functions because they allow us to know which are the most difficult tasks and how long we can take to complete them. I do not like that all the information we store in this tool is completely stored in the cloud and there is no way to store anything locally. Kanbanflow has not helped to better manage the tasks that should be assigned to our work teams, which improves the execution time of each project and allows to take better control of each task assigned to each team. "Great for professionals juggling many projects"
I absolutely love using this product, it helps me stay very organized, and I love that it's easy to change. My job requires me to work on many projects every day, and priorities change very quickly. I need something that I can quickly manipulate and update to reflect changes. After using this I completely eliminated needing to use a written to-do list or ever using a post-it note. There's nothing I dislike about the product, it's probably my favorite tool and I use it hourly. My company also uses Trello, which I personally don't prefer. I like the layout of Kanban flow better. However, as far as I know, Kanban flow is just for personal use while trello can be more collaborative -- you can assign people to cards, view other's boards etc. I personally like my to-do list to be private and customizable. I don't need everyone to see my notes or change things on me. However, Trello might make more sense for those who need that extra functionality. This tool helps me manage every task I must complete. I have several different clients, and I'm able to color code my tasks by client which helps me determine just at a glance what I'm working on and for who. I also like you can customize the columns for your needs-- I have it set up where my columns are "due today" "due tomorrow" "due this week" "due next week" and "completed". I also like being able to drag and drop tasks so it takes less than a second to move a task from one column to the next. It's quick to input new tasks as well, due to the simplicity, I find myself using it for every little task I might need to do, even setting a task to reply to an email later I can put into the board. Finally, I like being able to input a description to the card that's hidden in overall view (must click into the card to view). I find this feature very helpful for taking notes, particularly when my manager is giving me an overview of a task and I won't be working on it for several days. This helps me remember the background of what I need to do with it when it's time to complete it. Other features of Kanban include task reminders and timers, but I don't use those personally. I prefer this tool to Trello. "Easy to Use Task List Management"
Great for task management for a large team. Can set deadlines by date and time, color code, etc. Just wish there was a more automated prioritization ability (ie: change colors when a deadline gets closer). Easy to drag and drop tasks, and create columns/visualize tasks across various members of a team. Could benefit from formatted texting (bold, italics, etc), but the link feature is also great for quick linking out to other websites. The use of Pomodoro technique to not only time your tasks but also review the time it takes for the other team members to complete tasks . Kanban is a few decades old, is time tested for project management and the best SDLC tool next to Jira. Compared to Jira it is lighter, has the same features, but supports better work collaboration. Most importantly it is freeware and is widely used, so knowledge of Kanban is a definite plus on you resume. It is also great for SaaS, IaaS and other cloud based work flows. It has good change management support. The user interface has a simplistic look and feel, which though acceptable to me may not be to the UI/UX community. Kanban is more for backend/HPC production environments. If you are looking for a Lean solution, use Kanban, it is simple and supports performance centrality. I use Lean A.I for my project management and lean for project management would entail implementing Lean A.I in Kanban and Jira. Its very lightweight, so it works very fast compare to other interfaces with a lot of graphics, for example as Trello has. In some instances, I prefer speed in exchange for some design features. There is no ability to change the theme, so I don't really like default design, but it is not that big of a deal. If you prefer rather speedy and quickly to respond web interface, it should be solid choice. Making flows for different sales funnels, scheduling and implementing new product features, collecting ideas from customers and improving the sales process. "Powerful Way To Track Projects"
This is a very simple tool to use in tracking tasks in my projects. I like the ability to customize my lanes, how easy it is to move the cards from lane to lane, and overall how quick it is to turn my mental checklists into tasks for tracking. Definitely worth giving it a try. Also, watch for shortcuts. Took me a while to find that I could mult-select. We previously used physical index cards on a board to track tasks for our projects, but anyone working remotely had to call in and ask what tasks they could work on. Using KanbanFlow has all the simplicity of our traditional methods but allows much better collaboration. "Making the world of Agile and Kanban simpler"
The dashboard and the user experience is very intuitive and allows teams to easily utilize the online tool set to map the different user stories and tasks. The ability to map the tasks to users, helps the managers plan out resource allocation as well. It also helps you pull out tasks from outlook - the email integration feature is pretty nifty. I like how it is very easy for users to be able to easily add other users and administrators on the workflow board. You are also able to easily identify and assign roles to each user on your flow board. The diversity of options in terms of color schematics and overall user interface and design aesthetics are quite light, and I wish they had deeper, richer, and more textured layouts and image settings on its UX/UI so that it will look prettier to use. Although I don't use it anymore because my company switched to another board flow service that seemed more fun and had a few features that were better at providing better insight and detail needed for our work. While Kanban Flow is perhaps the most easiest and quick software program to use online when trying to manage projects and people, it just lacks the beautiful design aspects that so many of its competitors have, which is why I switched. Overall, it is really not bad, as it does what it says it does, to help organize things better. Kanban Flow does help manage multiple people very easily. It is more simpler than its competitors in my opinion, but its lack of options in comparison benefits it hugely in terms of simplicity so you don't have to worry about or fuss with extra nonsense add-ons. "Easy UI for managing tasks"
Clear indication for the task, subtasks, due date, and etc. We have been using KanbanFlow for over 3 years, and we don't have much complain about this tool. It gets things done. Very easy to start. There was a free tier with one swim lane. We are using multiple swinlanes right now because we have more projects to manage. The Kanban board really helps me to keep organized so I am always on top of my tasks. The limit on how many tasks you can have in each column really helps me to make sure that I am doing things in the order that they need to be done. I wish that the filter would be more in-depth because currently, it is very basic. Sometimes the relations do not work as well as I think that they could. They should be able to connect them more easily but they are difficult to find. The integration and reporting have been great for keeping us organized. The ease of use and organization really has saved us a lot of time so we can do more work. It has also helped prevent people from doing the same work twice. "Perfect organization of the tasks at hand"
Had good increased productivity for the using this KanbanFlow. Needed this to place my work on track when using this valuable tool. I highly recommend using the KanbanFlow when managing the tools and projects in ones organization. Lack of integration with other useful services and some services require a premium subscription. The cost of the application and kanban flow is high. I found increased productivity when using this KanbanFlow. 1. KanbanFlow - Great for solving time management problems. 2. Organized tasks and lists of information. a. Increased throughput of productivity in the group managed. "Kanban Flow is a lean software for lean project management!" My favorite thing about Kanban is that it's simple to use because it doesn't have a lot of features. It's a lean project management software for people who want to get work done, visualize their work, and deploy the Pomodoro technique for time tracking. That's it. It's not super fancy, it doesn't have a lot of features such as JIRA or other tools, but it's good enough. The design feels a bit outdated and needs to be refreshed. Getting the team on the same page and managing everyone's tasks is easier with Kanban. Makes everyone more efficient and accountable. I like the simplicity and the pomodoro timer. We are looking to replace our manual team kanban board with an electronic board. "Great tool to keep track of your team's work progress"
Kanban board's best thing is, it provides a great overview of your team's current work situation. like what your team members are working on right now, what tasks they have completed, and what is still pending. To be honest, I really like this software in all ways. Haven't been able to find a single flaw in my 2 years of use. Keep it up kanban team. Great software and easy to use. Business problems like keeping track of work and progress. benefits are mind blowing. Manager can keep track of individual employee's work progress. "Efficient&reliable, it does its job; it needs a special&useful feature or functionally "
A bit blant and predictable, even one or two great new features would make it better - of course need to be useful to users. It dogged does what it says so if this methodology is what you want,you will be ok.
Much better organisation of workflow and project management, good for planning. Efficient ostal internal processes. "Kanban Flow is a great product for internal team project management"
The messaging/notifications feature is very helpful, email alerts, etc. The interface is a little confusing and cluttered. The Kanban board is really helpful to see where we are in the stages of the project, it is helping to simplify and reduce checking in and emailing back & forth. we are using kanban to paint our dashboards. The KPI charts and other matrix show really well in this view and more importantly its very easy and flexible to use. nothing which i noticed so far. I really liked the performance. The app is priced very good. Pomodoro timer is the best thing ever. The interface is not as appealing. To assign tasks perfectly. And work with all people in an organization. I think that keeping me update on peoes task. Not many options of customization, would like to put our on touch. * We monitor all KanbanFlow reviews to prevent fraudulent reviews and keep review quality high. We do not post reviews by company employees or direct competitors. Validated reviews require the user to submit a screenshot of the product containing their user ID, in order to verify a user is an actual user of the product. Hi there! Are you looking to implement a solution like KanbanFlow?